Once this "rent a botnet" or "botnet on demand" service depending on the perspective made it in the mainstream press, they switched locations, but I'm sure they'll continue to advertise themselves given the potential for such a service. The first screenshot provides the "botnet inventory", as you can see the botnet has a total 35015 infected hosts, but with only 2342 of them online when I last checked. On a per rate of 252 infected hosts for the last two hours, and with 5279 for the last 24, their only problem is to have the malware actually respond, and "phone back home". From another perspective, "rent a botnet" is a bit different as a service concept next to "botnet on demand" where this service is a combination of the two of these. Rent a botnet means there's an already available inventory, that is they're aware of the exact number of infected hosts they have, and are capable of meeting the demand until their supply gets depleted, which is where "botnet on demand" comes into play. Botnet on demand, like the entire "on demand" concept, doesn't build inventory of infected hosts and sit on them waiting for someone to require them. Instead, infected hosts get "infected" as requested, another indication of their understanding of what malicious economies of scale is all about - anticipating the success of exploiting outdated client side vulnerabilities on a large scale. What about the prices? Differentiated pricing on a per country is an interesting pricing approach, for instance, 1000 infected hosts in Germany are available for $220, and 1000 infected hosts in the U.S go for half the price $110. It doesn't really feel very comfortable knowing someone's bargaining with your bandwidth and clean IP reputation, does it? What's worth discussing is the fact that the service isn't marketed as a DIY DDoS service, but as a simple acccess to a botnet one, where the possibilities for abuse are well known to everyone reading here. Spamming and phishing mailings, hosting and distribution of malware using the rented infrastructure, OSINT through botnets, corporate espionage through botnets, pretty much all the ugly practices you can think of. If the service was a "rent a botnet" it could have increased its chances of having something to do with Storm Worm's "divide and conquer" approach of segmenting the botnet into smaller ones, since Storm Worm is the biggest inventory of infected hosts currently available online. But since they offer the "on demand" feature, thereby indicating they're surveying the demand for the service itself before putting more efforts into building the inventory, I doubt it's Storm Worm related. Is there by any chance the possibility that the Russian Business Network's IPs might be somehow involved? Don't be naive - of course there are RBN IPs involved and talking about them, deobfuscating scripts or analyzing the binaries related to RBN is becoming a rather boring task given nothing's changing. Remember all those parked domains on the second IFRAME IP from the previous post? According to this writeup by Symantec's Kaoru Hayashi, some of the hosts - fiderfox.info:8081; gipperlox.info:8081; gipperlox.info:8081 - are acting as communication platforms with a trojan downloaded from an RBN IP - 81.95.144.146 in order for the trojan to receive spam sending configurations. Now, where do we know 81.95.144.146 from? From the Bank of India hack as it was among the several IPs used in the IFRAME attack. Getting back to the latest developments behind the dynamic tactical warfare applied by the attackers at 208.72.168.176, they seem to have introduced a new obfuscation at : 208.72.168.176/e-Mikhalich2210/index.php which you can see in the screenshot attached. Once we get to feel the binary we can conclude it's a spam bot known under different names such as Dropped:Trojan.Proxy.Pixoliz.I; Trojan-Proxy.Pixoliz and W32/Pixoliz. There's even a Storm Worm connection. For instance, musicbox1.cn/iframe.php refreshes textdesk.com which is heavily polluted with known storm worm domains such as : eliteproject.cn/ts/in.cgi/alex; 88.255.90.74/su/in.cgi?3; 81.95.144.150/in.cgi?11; takenames.cn/in.php; bl0cker.info/in.php; space-sms.info etc. Dots, dots, dots and data speaks for itself. "And I want to call this the "Brilliant civilian sector". 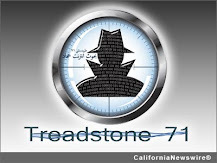 It included the likes of Bill Roggio, Dancho Danchev, Douglas Farah, Ray Robison, team at Counter terrorism Blog, Jamestown, Memri, SITE, and many many others. This "Brilliant sector " is missing part of the "Civilian War Effort Paradigm". The output has been voluminous and timely and very high quality. But it has been aimed at only part of the Demographic. The American or Western sector. The "Brilliant sector" recognizes the value of translating terrorist media, documents etc. And their analysis is top level. But they seem to have missed the value in translating their analysis into indigenous languages, or Arabic at least." Wisdom of the opinionated crowds, the value added objectivity due to non-existing departamental budget allocation battles, combined with state of the art open source intelligence gathering for the world's intelligence community to take advantage of - all courtesy of the "Brilliant civilian sector". And why not? While I fully agree with Gerald's point on translating anti-terror PSYOPS material into Arabic, the way cyber jihadists are actively recruiting and winning the minds and hearts of English speaking/understanding web surfers, thus radicalizing them to the bottom of their brains, it's also worth mentioning that cyber jihadists are already doing it by actively translating English2Arabic the way I'm for instance translating Arabic2English - using commercial or free services. Moreover, the way the "brilliant civilian sector" is watching video material that they've uploaded, they're also watching news excerpts on YouTube, and following everything related to terrorism. 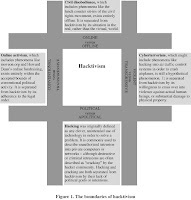 Perhaps more research should be conducted on the cyber jihadists' counter surveillance practices, how decent is their level of situational awareness, which are their main sources for OSINT, and how influential they are so that adequate measures could be taken. One way to do is is by taking a rather big sample of outgoing links from their communities in order to better understand their main OSINT sources. By the way, remember the Caravan of Martyrs which I first mentioned in June, and later on crawled knowing it will sooner or later dissapear? It's now gone with the summer wind, for good. "Here are a new feature-check your files against popular firewalls. 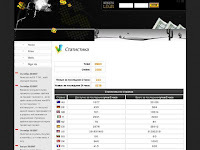 You send us a file, we run it in each individual fayrvole, after full you personal checking account. The cost of single use service is $3. A special service for developers, we check your software and your otpisyvaemsya subject to the results of the verification. File of our service to circumvent firewalls. The cost of the service so far is no different from the usual check. Testing takes about 30/40 minutes, the countdown begins once you responded Support "Doc passed ordering" Every fifth-free ordering. When paying full use prepaid services. Do not worry about sending stay online, with a corresponding demand will be organized kurglosutochnaya work 24/7/365! List of our firewalls at the moment: ZoneAlarm Pro v7.0; Sygate Personal Firewall 5.5; Ashampoo FireWall PRO; Sunbelt Personal Firewall; Outpost Internet Security 2008; Filseclab Personal Firewall Professional Edition; F-Secure Internet Security 2008; Comodo Firewall Pro. 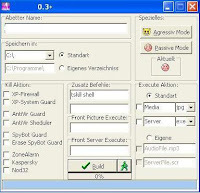 Every feature is installed on a separate Windows XP Service PAck2, with all the critical updates for September 2007. All default. After each check all operatsionki regress back to the condition it was prior to the launch your executable file. None of the transferred files, we will not be forwarded to third parties, including anti-virus companies, to study the existence of malicious code. After verifying the files removed. Now the service does not work in the automatic mode, not around the clock, with breaks. We would be happy to cooperate and permanent clients." Basically, they're testing whether or not a malware will "phone back home" by running it against the popular firewall products, and giving it a green or red light if it does, or if it does not pass the test. QA is vital to reliable and bug-free software, but when QA as a concept starts getting abused to improve the quality of a malware campaign itself it would improve its chances for success, and actually achive it given a bypassing confirmation is already anticipated. Is this malware QA a trend, or is it a fad? I think it's a trend mostly because malware authors seem to have realized the potential of launching "quality assured malware", take storm worm for instance, and the possibility for crunching out DIY malware through commodity kits in enormous quantities in the form of a managed malware provider. The second IFRAME points to 208.72.168.176/e-Sr1pt2210/index.php where we're greeted with the following message "asdfasdfIt works!" and a piece of Trojan.Srizbi. It gets even more interesting with the following domains returning the same message within their indexes, and also hosted at the second IFRAME-ing IP - 208.72.168.176. Possibility Media's vision states "New Media Making The Difference!" Indeed. The never ending Russian Business Network's saga on whether or not they host malware on behalf of their customers enters in an entirely new phrase with the discovery of over 100 malwares hosted on a single IP - 81.95.149.51/ms where the directory listing indicates that the earliest binary was uploaded on 19-Sep-2006 and the most recent one on the 28-May-2007. If only was the directory listing denied we would only be speculating on such a development, and as it's obvious that it isn't sooner or later they'll simple rename the directory as they apparently did in the past from 81.95.149.51/ms21 to 81.95.149.51/ms51 and to the current state. Meanwhile, there's an active mass mailing campaign going on in the time of blogging, that's exploiting the recent mailto PDF vulnerability. Guess where does the PDF file's payload point to? The Russian Bussiness Network, again, again and again. In need of a good example of coordinated CYBERINT so that enough data is gathered before the domains stop responding or get transfered to a network not belonging to the Russian Business Network? Try this one. Yesterday, the RBN monitoring blog picked up the fake anti virus and spyware applications I covered in a previous post, and came up with a great table of 20 fake anti virus and anti spyware applications hosted at the RBN. During the weekend I stumbled upon a herbal enlargement domains farm hosted on a single IP (210.52.223.26) on their way to start the spam campaign. Earlier this month, in exactly the same fashion I assessed a Rock Phish domains farm you may also be interested in taking a look at. Scammy, scammy. "a super-smart engine that pieces your site together, intelligently tagging and linking your web content"
Here's the tag cloud, and these the topic categories for easier navigation. The service is very handy when browsing the archive of a specific month, or the main index itself, in fact, it's bringing new perspectives to every post. Enjoy! What are the chances tools like these, even this one in particular were distibuted to the masses during the Russia vs Estonia DDoS attacks to achieve a full scale people's information warfare effect? Too high not to state it as a fact. What's interesting about this tool is that the authors behind it backdoored it, and so whenever an enthusiastic wannabe hacktivist loads it on her way to DoS a site, a connection to a predefined IRC server opens up providing the authors behind the tool with access to the host. Ironic and bandwidth greedy. Originally aired on Discovery Channel, this documentary on Chinese hackers is worth watching in the wake of the recent speculations of Chinese cyber warriors probing the networks of numerous governments across the globe. All warfare is based on deception, especially people's information warfare. If you don't respect your privacy, or at least put efforts into preserving it - you don't deserve any, it's simple. Great shot courtesy of floze. 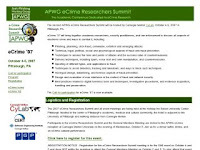 "The Anti-Phishing Working Group eCrime Researchers Summit was conceived by APWG Secretary General Peter Cassidy in 2006 as a comprehensive venue for the presentation of the state-of-the-art basic and applied research into electronic crime, engaging every aspect of its development (technical, behavioral, social and legal) as well as technologies and techniques for its detection, related forensics and its prevention." "This guide is meant to introduce non-technical users to Internet censorship circumvention technologies, and help them choose which of them best suits their circumstances and needs." "I’ve written previously on the possibility that China may use its firewall as an economic tool as opposed to a censorship tool alone, and although censorship may be partially behind todays blanket ban of US search sites, the redirect to Baidu would indicate an economic motive; if the Chinese Government were serious about censorship alone we would have reports of page not found/ blocked messages, not redirects to Baidu." It's all a matter of perspective - privacy is just as vital to maintain in a democratic society, as is anonymity in a modern communism societies where f*** speech is a censored word by itself. 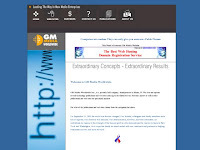 "Everything you wanted to know about the RBN and related enterprises - AKA ; Russian Business Network, RBNnetwork, RBusinessNetwork; the Internet Community's favorite - exploiters, phishers, hacks, spammers, etc." "We can't understand on which basis these organizations have such an opinion about our company," Tim Jaret of the Russian Business Network says in an e-mail interview. "We can say that this is subjective opinion based on these organizations' guesswork." Jaret's e-mail signature identifies him as working in RBN's abuse department. Security researchers and anti-spam groups say the St. Petersburg-based RBN caters to the worst of the internet's scammers, renting them servers used for phishing and malware attacks, all the while enjoying the protection of Russian government officials. A report by VeriSign called the business "entirely illegal." What is the RBN at the bottom line? A diversified set of IP blocks located at different parts of world, who periodically appear within the deobfuscated javascipts of the sites who got IFRAME-ed and were found to serve malware by exploiting outdated browser vulnerabilities. What's more interesting to me than the "yet another popular site which got IFRAME-ed by the RBN's network" is the success of the popular malware exploitating kits using outdated and already patched vulnerabilities. What use are patches when no one is applying them, and aren't unpatched vulnerabilities just as effective as zero day ones? Yes, they are. 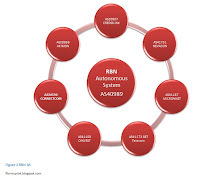 - the RBN is the tip of the iceberg whose clients' successes in the form of embedding RBN IPs on the most recent malware cases led to the inevitable wisdom of crowds effect. What about the hundreds of thousands other not so well known malware serving netblocks? What were some of the most recent cases where RBN IPs were used to serve malware? The Massive Embedded Web Attack in Italy used to orbit around RBN IPs, various other exploits serving domains and the fake ms-counter.com were using RBN IPs, Bank of India's IFRAME and several MPack control panels were pointing to RBN's network too, and also the most recent Beer.ch malware attack. It gets even more interesting. The enemy you know is better than the enemy you don't know, but on a large scale I fear the enemy I don't know, namely the hundreds of thousands script kiddies now empowered with open source and localized malware kits. Here are two more related blog posts on the RBN as well. In the past, malware interested in establishing a one-to-one social engineering communication channel with potential victims, used to crawl the hard drive, even the web address book of the infected party looking for emails to self-email the binary to. And with the rise of instant messaging communications, malware authors adapted old techniques such as harvesting for emails to IM communications by introducing IM screen names harvesting and positioning the practice as both a product in the form of the segmented email databases of millions of emails already harvested, and as a service, by aggregating publicly available profile data to deliver targeted messages often in the form of phishing, malware embedded URLs, and spam. Hitlist's based malware is nothing new, it's actually malware authors borrowing the spammers "direct marketing" communication model, and while you cannot change your email's account name unless of course you're using a disposable or temporary email service, you can easily, in fact periodically change your screen name. IM networks are on the other hand, slowly adopting a "save the world from the clicking crowd" security awareness model by blocking common malicious file and domain extensions, an initiative that's both applaudable and futile at the same time given the failure of URL filtering in today's dynamic and user-generated content Web. Go through an informative article by ScanSafe's Dan Nadir with comments on Signature-based detection, Heuristics, Code Analysis, Code reputation, URL Reputation, and Traffic Behavioral Analysis. It is logical to consider the possibility that once a malware author starts evaluating the benefits out of releasing a malware in an open source form, malware exploitation kits can also build communities around them. 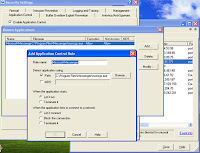 Since August, 2007, Chinese hacking groups can freely enjoy "the benefits" of IcePack's and MPack's malicious economies of scale attacking approach in the combination of a brain-damaging Keep It Simple Stupid exploitation tactic in the form of serving exploit URLs, which get automatically embedded via a web application bug, or via automated remote file inclusion enabled web site. By ensuring that the market segment for malware in this case, has many participants and is not concentrated and operated by a few over-performing groups is a highly beneficial from the perspective of the most skilled and advanced groups continuing their operations in between the noise generated by the rest of market challengers. Now Playing in Cyberspace - "The Revenge of the Chinese Script Kiddies". Spam and phishing are indeed starting to operate behind the curtains of a fast-flux network of constantly changing IPs of malware infected PCs that end up hosting the scams and phishing pages themselves for a certain period of time. And I'm certain that's a trend and not a fad given the potential for increasing the average time a phishing or a scam site remains online, even the inability prove a certain IP was hosting it at a given period. 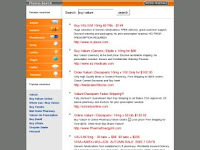 Take for instance the latest Canadian Pharmacy spam campaign, where in between the fast-flux, they didn't even bother to register and use a legitimate SSL certificate, among the few visual proofs for the average end user that's ensuring a certain degree of security, yet, in order to establish more trust, dead link logos such as "Verified by Visa", "Secured by GeoTrust", "ScanAlert - Hacker Safe", and "Verisign" are included at the processing order page. To me, that's a typical Rock Phish mentality - efficiency vs quality of the phishing/scam campaign. 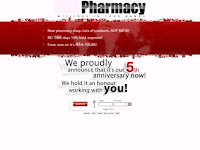 The whole Canadian Pharmacy spam campaign is behind an affiliate program forwarding the responsibility for promotion (spamming) and fast-fluxing, to the participants. Yet another publicly available DIY malware dropper this time courtesy of German compared to Russian malware crews, whose releases on the other hand are starting to live in a "high profit margins only" product/service business model, thus introducing propriatery malware tools like the ones I've discussed in a previous post. Why would a malware crew member release such a tool for free? Respect, ego, quota of tools released to meet in order to remain inside the team? Could be, but on several occasions such freely available tools get backdoored too, like just the source codes for popular malware kits. - which AVs are more ineffective, the ones which are not running due to the process list of each and every anti virus software now easily integrated within each and every malware dropper and malware tool in the wild? - or the ones whose often static update locations online get blocked by a malware in in order to prevent its detection supposedely to come in the next signatures update? 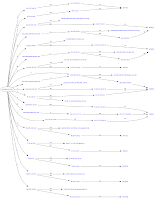 Here're related overviews of malware tools. Disintermediating the main sources of R&D with innovation and cost-effectiveness in mind, is a business practice that's already embraced by numerous deep pocketed future clients interested in outsourcing innovation in the form of such contests. I'm particularly interested in Psylock's future development, and it's great to note that the folks behind this typing behavior authentication even set up a demo of the concept. And given that the GSC are also embracing the blogosphere, let's wish them long-term passion and sustained professionalism in their initiative to fund promising security oriented startups. "The report also documents how the Beijing Internet Information Administrative Bureau has in practice asserted its daily editorial control over the leading news websites based in the nation’s Capital. It gives many examples of the actual instructions issued by officials in charge of this bureau. 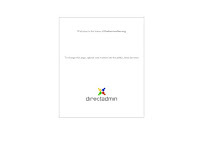 The last part of the report gives the results of a series of tests conducted with the mechanism of control through filtering keywords. These tests clearly show that, though there are still many disparities in the levels of censorship, the authorities have successfully coerced the online media into submission to censor themselves heavily on sensitive subjects." Information is not free, but it just wants to be free and you cannot control the rules of curiosity and the basic right to know who's what and what's when -- even if you shut down the Internet access inside the country. China's Internet censorship is on the other hand a driving force for academic research across the globe. Even wondered what are the latest blocked keywords discovered filtered over time? Try the list of blacklisted keywords discovered by ConceptDoppler, as of 19 Sep 2007, part of the ConceptDoppler project - A Weather Tracker for Internet Censorship. Before January 2007, I could only say that I'm glad to have you as a reader of this blog, but with the Talkr-ization of my blog during that month, I can now freely say I'm also glad to have you as both, a reader and a listener taking into consideration the interest in the audio versions of my analyses. It's great to follow the progress of the service and the efforts the folks behind it put into improving its quality. I can only hope that they reach Ms. Dewey's speech engine, even go beyond it by allowing customization in the form of different voices to choose from. "MoFuse is short for Mobile Fusion. MoFuse was founded in July of 2007 and released it's first private beta in late September of 2007. MoFuse allows content publishers to create RSS driven mobile sites and gives our users the ability to control almost every aspect of the design using some of our AJAX features." "With fast-flux, spammers continually change the URL in the e-mail to counter filtering efforts. The constant change requires a corresponding defense that recognizes those changes as they occur, Red Condor officials said. 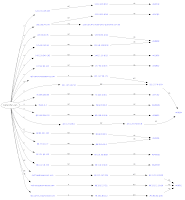 Fast-flux botnets turn IP addresses against anti-spammers. Using a large number of servers, fast-flux DNS uses a compromised PC as a proxy, frustrating investigators. In its September intelligence report, MessageLabs counted fast-flux DNS techniques as one of the key reasons botnets are hard to shut down. The MySpace worm that compromised thousands of MySpace users' sites earlier this year utilized fast-flux techniques." As in every other competitive industry, pretty much all the market participants such as botnet masters, pharma masters, spammers and scammers, follow what the others are doing and by taking notice in which practices the others outperform them, figure out how to apply them within their practices at a later stage - competitive benchmarking within the underground ecosystem is already a fact. Wish it was the average .cn domain I'm referring to, in this case it's the web sites of three U.S towns, namely the City of Chetek, Winsonsin, the City of Somerset, Texas and Town of Norwood, Massachusetts, who are the latest victims of embedded malware and blackhat SEO injected within their juicy from a blackhat SEO perspective .gov tld extensions. Arizona Government University Site: Hacked! How is all this happening? In both, automated, and sometimes targeted way, where automated stands for remote file inclusion through botnets. I sure know all the pharmaceutical blockbusters now. Sometimes, it's unbelievable how easy is in fact to social engineer people on their way to "make a deal" online, especially when buying pharmaceuticals online. Let's discuss organized pharmaceutical scams the way I perceive them, which like phishing also aim at reaching the efficiency level. It's a public secret that Amazon.com's success in terms of sustained profitability has to do with their affiliation based model, namely "let the others do the sale for you". Pharmaceutical scammers have been anticipating this model for quite some now, a model where the pharma masters forward the processes of collecting potential customers (emails harvesting), contacting them and letting them know of how cheap their pharmaceutical are (spamming), enticing them to initiate a transaction with a fancy and professionally looking like site (freely available pharmacuitical web site templates) to those who become part of an affiliate network like the one you can see in the screenshot. If efficiency truly matters from a scammer's perspective, we may soon witness actual DIY marketing packages with templates, "collection of potential customers", and a list of services to use when "contacting them". Now, if the pharma masters want to diversify as well, they can vertically integrate by owning or renting the spamming services themselves, something I haven't come across to - yet. The majority of Rock Phish campaigns usually take advantage of a single domain that's hosting numerous different phishing scams targeting different financial organizations. However, another trend is slowly emerging and that is the development of phishing domain farms, either taking advantage of a shared hosting as you can see in the graph on the left, or fast-fluxing the campaigns to increase the average time a phishing site remains online. Here's the interesting part acting as proof on the emerging trend of so called malicious economies of scale, and also, showcasing Rock Phish's effiency vs security trade off due to the centralization of the campaign on a single IP only. In this campaign we see a single IP (200.77.213.15) hosting 38 rock phish domains, that on the other hand in a typical Rock Phish style host multiple phishing pages targeting different companies. "Nobody knows exactly who or what Rock Phish are -- whether it's one person or a group of people -- but security researchers believe Rock Phish is behind as many as half of all phishing attacks on the Web. Fast flux is a method by which a domain name that phishers use has multiple IP addresses assigned to it. The phishers switch those domains quickly between the addresses so that it's not as easy to find or shut down the phishing sites." "Of particular concern is an increase in “rock phishing,” originated by the Rock Phish Gang based in Eastern Europe. Rock phishers use stolen information to register and rapidly cycle through domain names and IP addresses. They obscure their origin with botnets, which automate unwitting consumers’ computers to send out spam." In reality, Rock Phish is a script taking advantage of the now commoditized phishing pages of each and every web property and company that is a potential victim, hosted on a single domain in order to achieve efficiency. Once the script and the phishing pages are in the wild, the entry barriers into phishing scams become significantly lower allowing novice phishers to easily launch what used to a professional phishing campaign much easier than ever. Why give the kid a phish, when you can teach them to phish? DoS battle stations operational in the name of the "Please, input your cause". Preventing a malware infection in order to limit the possibility for the host to become part of a botnet that will later one start a large scale DDoS attack is such a rational thinking that information warriors truly understanding what information warfare is all about, tend to undermine. The recently discussed "people's information warfare" concept highlighting China's growing interest in the idea, is a great example of a culture of participation orbiting around hacktivism cause, a culture we've also seen in many other hacktivism tensions in the past, and will continue to see in the future. The entire concept is relying on the fact that the collective bandwidth of people voluntarily "donating" it, is far more efficient from a "malicious economies of scale" perspective, compared to for instance the botnet masters having to create the botnet by infecting users in one way or another. 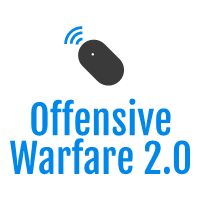 Moreover, empowering an average Internet user with diversified DoS capabilities is directly increasing the nation's asymmetric warfare capabilities in an event of a hacktivism war. Furthermore, the majority of DoS or DDoS flooding tools have a relatively high detection rate, but when people want to use them, they'll simply turn off their anti virus software, the one they use to prevent malware infections, but in a "people's information warfare" they can go as far as consciously becoming a part of a hacktivism centered botnet. Take this DoS tool featured in the screenshot for instance, it has a high detection rate only if the anti virus software is running, but in situation where a "malicious culture of participation" is the desired outcome it doesn't really matter. Donating their bandwidth and pretending to be malware infected is far more dangerous than botnet masters acquiring DDoS capability by figuring out how to infect the massess. It's one thing to operate a botnet and direct it to attack a certain site, and entirely another to be infected with a malware that's DDoS-ing the site, a situation where you become an "awakened and fully conscious zombie host". 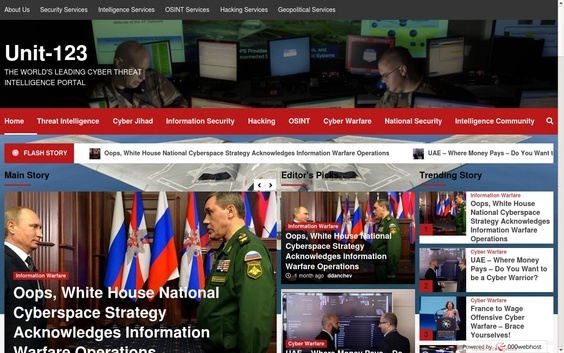 - What exactly happened during Russia's and Estonia's hacktivism tensions? The voting poll that is still available indicates that people believe it was botnet masters with radical nationalism modes of thinking. But judging from the publicly obtainable stats, ICMP often comes in the form of primitive DIY DoS tools compared to the more advanced attacks for instance. Collectivist societies do not need coordination because they know everyone else will do it one way or another. Turkish hackers target Swedish Web sites - "Hackers in Turkey have attacked more than 5,000 Swedish Web sites in the past week, and at least some of the sabotage appears linked to Muslim anger over a Swedish newspaper drawing that depicted the Prophet Muhammad's head on a dog's body. Around 1,600 Web sites hosted by server-provider Proinet and 3,800 sites hosted by another company have been targeted, Proinet spokesman Kjetil Jensen said Sunday. Jensen said hackers, operating on a Turkish network, at times replaced files on the sites with messages."